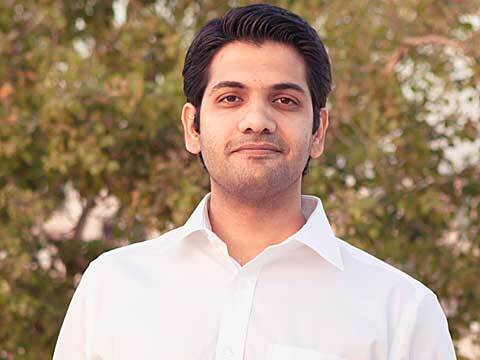 Wellness India has spoken to Siddharth Sangwan who is reaping fruits of his viable idea Hindustan Wellness, a 360 degree preventive healthcare model, which started in July 2013 to bridge the gaps of healthcare sector & provide at-your-doorsteps services. While conceptualizing Hindustan Wellness, Siddharth Sangwan, an Ex-Customer Acquisition Head of Times Group, had absolutely no clue about the success of his 360-degree preventive healthcare model. However, the start-up had courage and ultimate focus to fill the existing gap of healthcare sector, which made him reach from 0 to 16,000 customers in 15 months. Wellness India has spoken to this young entrepreneur to understand his business model, strategies to overcome challenges and much more. For some time, the concept of a 360-degree preventive healthcare model (not just a health check-up) as a viable business idea had been floating in my mind. It was the time when my mother got hospitalized and I was spending long hours in the waiting lounge. It gave me the push to sit down and conceptualize the exact plan. The experience also added to my belief of preventive healthcare as a preferable option for a patient and his family, in comparison to the treatment of the disease. Few of my relatives who are doctors, played the Devil’s advocate and helped me define the services of Hindustan Wellness. My brother-in-law, who happens to be a leading pathologist in Delhi played a key role of my mentor and guided me throughout the initial days of planning and execution of my venture. The next step was to convince three of my colleagues and friends about the business model and get them on board. Before turning an entrepreneur, I was heading ‘Customer Acquisition’ for online verticals at Times Group, but I quit my job within two months of joining to start the operations. We’ve set-up our corporate office in Connaught Place (CP in New Delhi), owing to the central location and opened our own Pathology lab in Gurgaon. A central location was important from an operational point of view, so that the phlebotomists could reach after their pickups from various locations across thenational capital. For the initial year, the business was funded through my personal savings. We were fortunate to have a great team who was always ready to walk an extra mile. As we were doing something which had not been done before, we were completely prepared to face emerging challenges. For the first 6 months, we were practically living out of our offices. That’s the kind of adrenaline running fun a start-up offers. In the span of a year, we had 75 employees, 10,000 loyal andhealthier customers (from retail), 4 large corporate customersand 4 offices across Delhi NCR. At this juncture, I connectedwith my line manager at my previous company, Aditya Guptato come on board as the Chairman of Hindustan Wellness. Aditya Gupta was the CEO and Owner of Infovision, which he later sold to Serco. He loved what we had accomplished and not only agreed to come on board, but also put his complete faith in our vision by investing in our company. a. Hospitals which don’t or can’t value human life; mostly government set-ups with poor infrastructure and a far higher inflow of patients than they can accommodate. b. Hospitals which value your money more than you; Private, profit driven set ups, where if the patient is not insured, the healthcare cost can take a toll on his pocket. Thus, Hindustan Wellness helps an individual to stay healthy and away from both the above mentioned curative set-ups. It’sall about Preventive Care. We don’t treat patients, but help customers stay healthy and prevent them from turning into a patient. Our aim is to ensure highest quality precision and convenience to the at-your-doorstep services as we believe in building a relationship with our clients and not treat them as a business transaction. Preventive healthcare provided by hospitals: A hospital aims to cure diseases. However, the idea of preventive care in a waycontradicts with their business philosophies. Most of the preventive healthcare units are very transactional and don’t focus on building relationship with their customers. Their focus generally turns into finding a lead or consumer who could be turned into a patient by performing numerous medical tests. Preventive healthcare run by labs: In the name of preventive health care, laboratories do a list of tests (which is an integral, but only an initial part of preventive care as a whole) and handover the report to customers. The element of consulting or managing the customer’s health is not looked into. It’s a transaction which gets over after the report being handover to the consumer. New age healthcare brokers: These are those professionals who would suggest a panel of tests to the customer or sell a Health Card offering discounts at their signature hospitals, clinics and labs, but would direct the customer to a hospital or a lab for the transaction. Realising the dire need of an organization, which not only do an accurate assessment of the customer’s health, but would also give an unbiased and clear advice, in a language that thecustomer understand well, along with helping them understand the extent of variance in test results, if any. This practice will empower the customer to manage their health by constant guidance and support. Thereby, reversing any lifestyle disorder,this may cause chronic disease. Identifying the existing huge gap in this desired area, our ideawas to fill the gap and made the customer’s health and convenience our prime focus. The idea was to collect blood and urine samples from the customers’ home as opposed to the inconvenience of walking to the lab or hospital, do the test in our labs to monitor accuracy and quality, provide the customer anon-phone consultation with the best doctors in capital, providedietary services on phone and email, and allocate a dedicatedHealth Manager, whom the customer can reach to discussany health related issues or who may reach to the customersat regular intervals to follow up on the doctor’s advice. The idea was also to provide a service which is aimed to valuethe money spent by customers and offer them an unbeatableexperience and laying the foundation of a lifetime relationshipwith them. • Getting prominent doctors on board: The biggest challenge was to get the most prominent doctors from AIIMS and Safdarjung Hospitals on-board. Today, they are a part of our distinguished panel. • Executing the unique business model: We are available 24*7 from 5am to 11pm as our Phlebotomists start with blood collection across Delhi by 5am every day. This route is mapped out and finalized by the scheduling team by 11pm the previous day taking into account all the orders booked through the day. This kind of unique model has not been executed by anyone till date. • Appointing doctors to take phone consultation: To convince leading doctors to dedicate at least two hours daily for the phone consultations, was another challenge which we’ve overcome successfully. Till date, we have done over 16,000 telephonicconsultations by leveraging technology. • Covering a 50KM radius: Starting from Connaught Place till Manesar and Faridabad in South, Kundli in West and Meerut and Greater Noida in East and being punctual for at-home sample collection was another challenge. With the team growing larger and help of technology, distances are much shorter. As far as funding is concerned, Hindustan Wellness received its first round of Angel Funding to the effect of 1.1Crore. A large portion of the fund was allocated in upgrading the technology and expanding our footprints. We are in the process of scouting for another round of funding and expect to receive it in Quarter 2 or Quarter 3 of the current financial year. Our departments are divided into sales and marketing, software & technology, operations, service delivery, lab and HDM (health and diet management). In our lab, we hire only Post Graduate/specialised Doctors, who are qualified from the best of the institutes and diploma holder technicians with relevant experiences. For the rest of the departments, we try to absorb candidates best fit in terms of previous experience qualification. However, what is most important for us is the attitude of an individual. I am a strong believer of the fact that anything can be learnt and expertise can be gained with the positive and progressive attitude of a person. Most of our team members are in their late 20’s or early 30’s and are extremely enthusiastic about what they do. One of the reasons why we will be a great organisation soon is that – ‘we are young and have a never say die attitude’. Currently, Hindustan Wellness comprises of 125 people with presence in 5 offices across Delhi/NCR and recently started its operations in Mumbai. We plan to expand to our reach in Bangaluru and Chennai. Two things that are going to define healthcare and wellness are technology and convenience of consumers. I am extremely optimistic about the future. There is a huge gap in need and supply in the healthcare today. The market for the companies like us has to fill the existing gap by making the customer, his health and convenience its focal point using technology. The fact that Hindustan Wellness has had 16000+ new customers within the span of a year is the proof of the huge potential in the market. I am quiet confidant that next billion dollar start-ups will emerge from healthcare. This is bound to happen at this stage of the industry but weeding out will eventually take plac. However, to flourish (and not just survive) innovation in the services is important. Most of thenew age health care companies want to be a platform to connect patients and doctors or want to leverage the existing healthcare set ups. Nothing wrong with that; but I think there is a huge market in service innovation focussed on convenience with help of technology. We have given the proof of concept to the market by doing over 16000 consultations on phone last year. Similarly, dietician on call is extremely economical as compared to the face to face monthly plans available in the market. Over and above this, Indian market is unknown to a concept of Health Manager which adds tremendous value to the customer at a very economical price. Club this with technology and you have well managed systems and processes that are sustainable and scalable. Corporate Wellness Program: We have been very successful in taking the 360-degree wellness programs to Corporates. It’san 8 step process, which is further customized to suit the corporates needs. Retail Wellness Program: Hindustan Wellness offers five key packages designed for men, women, kids, elderly men and women (60+ age group). We also offer ailment specific packages covering diabetes, heart, bones, thyroid, anemia and vitamin deficiency. Hindustan Wellness is targeting 6,00,000 customers in over 25 cities in the next 2 years. Hindustan Wellness has long term plans, and also plans to target global markets in Phase III. Ziffi.com to offer on-demand home services..